Do you spend more time online than your grandchildren? Contrary to popular belief, a number of seniors are Internet savvy. But what are the top websites for Boomer traffic? From health and humor to finance and fine dining, here are the sites that every senior should check out. Most seniors are familiar with the nonprofit organization AARP. But some may not know its website is packed with articles ranging from travel tips and health advice to guides for fraud prevention and managing Alzheimer’s disease. The site also makes it easy to reap the benefits of the AARP’s famed discounts. Video games aren’t just for kids. Pogo.com has digitized all your favorite pastimes like Scrabble, chess, Mahjong, Sudoku and crossword puzzles, so you can play them again and again. Strike up a solo game or pit your skills against friends in online competitions. With over 4,000 pages of humor, SuddenlySenior.com is one of the Internet’s best resources for generational yuks. Howl at articles such as “Looking for Mr. Oldbar” and “When Wild Oats Turn into Prunes and All Bran.” You can chuckle at senior trivia, knee-slapping nostalgia and joke-packed forums. From money management to relationships, ThirdAge.com explores every aspect of senior life. Unlike other sites, all healthy living articles get the stamp of approval from on-site physicians before going live. But what makes Third Age really stand out is its interactivity, offering a participatory blog and online classes. Didn’t grow up with computers? SeniorsGuidetoComputers.com tells you what you need to know in down-to-earth language that won’t make your brain blow a microchip. Get practical advice on how to set up a computer if you’re visually impaired or how to avoid e-mail scams. Animation and easy-to-understand screenshots help you along the way. 6) Love to know ... everything! What is your generation thinking about? Find out at Seniors.LovetoKnow.com. Catering to seniors, their adult children and caregivers, this site covers topics from fashion, beauty, and home décor to financial planning and shopping for antiques. Get online guidance for retirement at RetireWow.com. 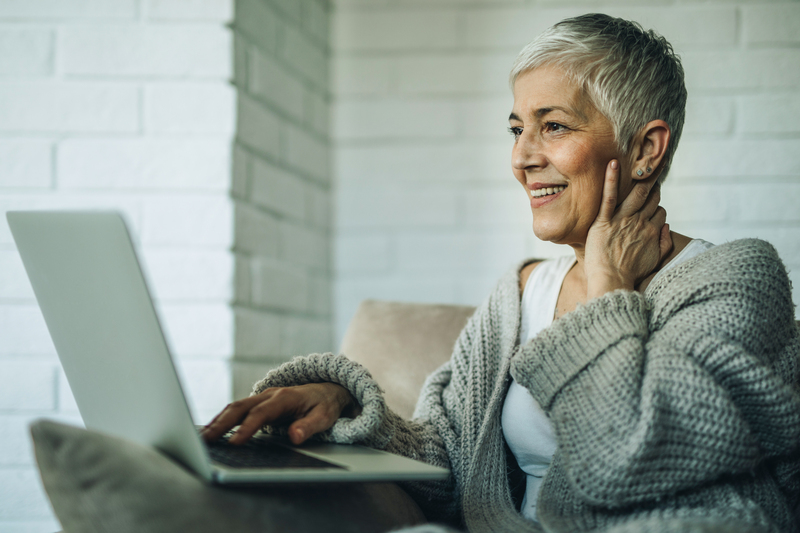 Spanning health, finance and spirituality, these articles focus on getting the most out of "life after work.” The interactive site invites you to join online classes and ask questions of experts in senior-related matters. Accommodations for two at $20 a night? Yes, it’s possible with EvergreenClub.com’s network of Bed and Breakfast spots. With an annual fee and an agreement that you’ll sometimes host other travelers over 50, you can take advantage of more than 2,000 homestays across the United States and Canada. If you want to share a passion with other seniors, chances are you’ll find a forum at SeniorsOnly.club. You can chat about music, movies, science and sports. Find new friends who love to talk about fashion, faith, politics or even paranormal activity. You can share jokes and tell tall tales on this wide-ranging platform. Seniors are one of the fastest-growing demographics on the world’s most popular social network. Join your family and friends on Facebook to share thoughts, photos and videos.